Nairobi is the capital and largest city of the West African Republic of Kenya, known for its large number of beautiful lakes and national parks like Amboseli, Tsavo National Park, Turkana Lake and Lake Nakuru, famous for its population flamingos, as well as Masai Mara Reserve, which offers classic safari options to Kenya. Not surprisingly, the country is recognized as the world capital of safari. Nairobi itself is the most populous city and capital of the eponymous Kenyan province. 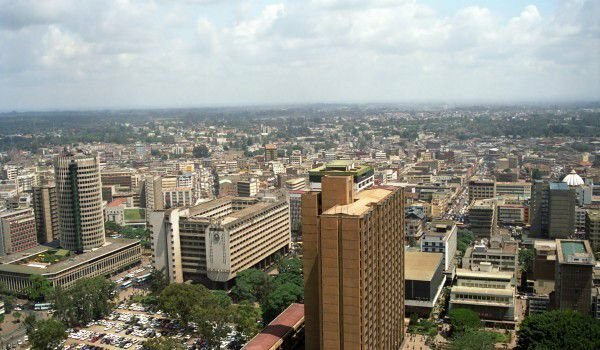 With about 3.4 million people, Nairobi is considered and the most populous city in Eastern Africa. On the continent, he ranks 13th in size and fourth in infrastructure development. The name comes from the Maasai phrase "Enkare Nyirobi", which literally means "place of cool waters". Because of the beautiful scenery around the city, Nairobi today is often called the "Green City in the Sun". In the town passes the Nairobi River. Nairobi is a relatively new city, which was founded just over 100 years ago by the British. It emerged as a stop on the railway line, between the second largest city in Kenya - Mombasa and Uganda. Officially the city has existed since 1899, and the functions of capital were adopted in 1907 as an administrative centre of British East Africa, in 1963 it became the capital of the free Kenyan republic. In little more than 100 years, Nairobi managed to grow by an intermediate rail station to the city millions. Thanks to the rail link, Nairobi became the second largest city after Mombasa and attracted many people as a capital. Even in this period, several luxury hotels appear for the British colonialists and safari hunters, along with banking and commercial offices. Today Nairobi is a major financial and political centre of Africa. Here are situated headquarters of many multinational corporations and many representatives of companies and that the United Nations. It should not be surprising that Nairobi is an excellent tourist destination, especially for those who are fond of nature, wildlife and African safaris. For them, the city offers a comprehensive infrastructure of hotels and parks, where this wild journey can be experienced. On the outskirts of the city is the kingdom of animals and the beautiful scenery. Every day from 8:30 am to dusk, safari tours are organized for a fee. Langatta is a place, where you can have fun with giraffes. The park is known as the Giraffe Center, and here visitors can walk alongside the animals themselves, feed them by hand and feel close to them. Near the park there is a colonial building, converted into an excellent hotel. In the city there are many things that are not to be missed. Stroll through the famous Uhuru Park, which is located between the central business district and the Upper Hill neighbourhood. Uhuru Park (Freedom) is a popular place for walking, rallies and public services. 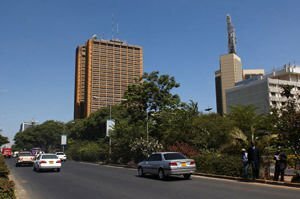 Among the best sights of Nairobi is the clock tower (bashnya), the Parliament building and the mausoleum of the first president of Kenya - Jomo Kenyatta, the exhibition of vintage cars in Kenya and several museums in the capital. First is the National Museum of Kenya, which is also the largest city with its large collection of artefacts. Walking around Nairobi, tourists will feel the spirit of the colonial era. The streets are lined with beautiful buildings in the colonial style, churches, mosques, synagogues and local religious temples. Among the most important temples in the Kenyan capital is the All Saints Cathedral, the Cathedral Basilica of the Holy Family and Jamia Mosque. Be sure to visit the city market, designed in the form of a temple. You can buy everything - from simple souvenirs to flowers, clothes, art and fruit. Required experiences include eating in some of the many Indian restaurants in town, that are a consequence of the settlement of Indians, in the late 19th century, when they were dealing with the construction of railways.